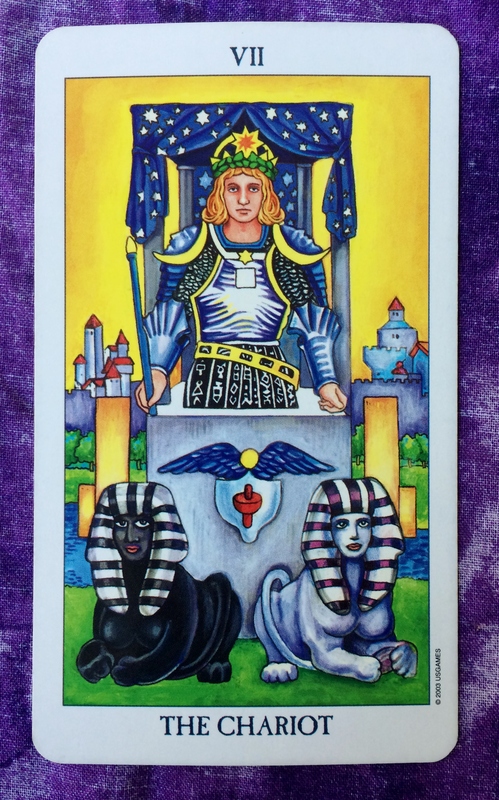 The Tarot cards of the day are the Chariot and the Knight of Wands. 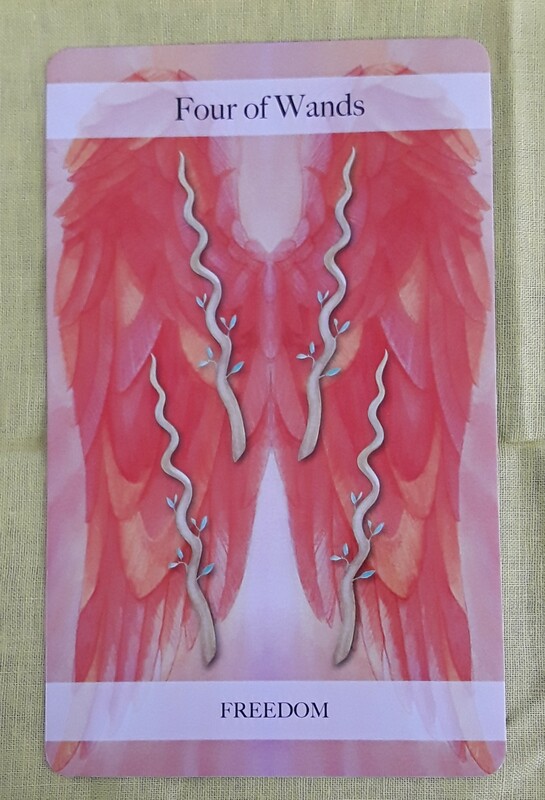 These cards show that this is a good time to move forward with any plans, projects, and ideas related to career, creativity, and romance. The path is wide open, yet you may have doubts, challenges, or even chaos going on in your life that make you think you should stand still. Know that these challenges could be a product of your fear. Fear is real, but it is not as powerful as we allow it to be. Fear can be overcome. 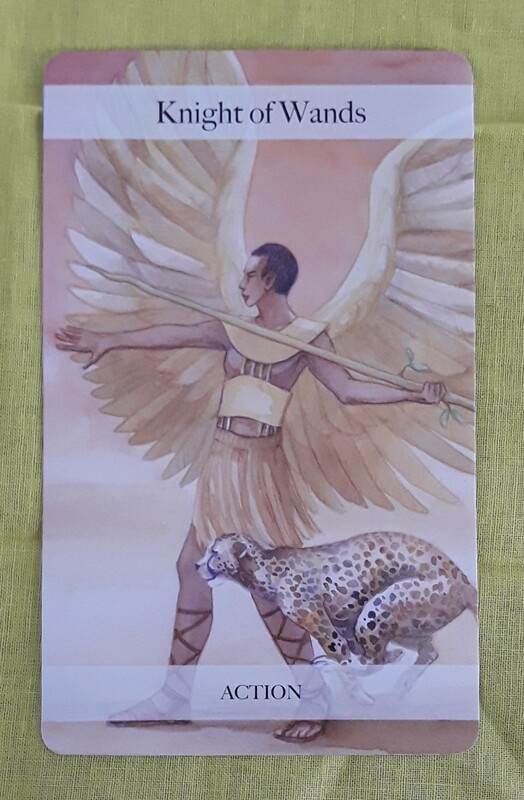 Like yesterday, the Tarot card for today is the Knight of Wands. It has been raining a lot recently here in NJ but the fiery energy is still going strong! 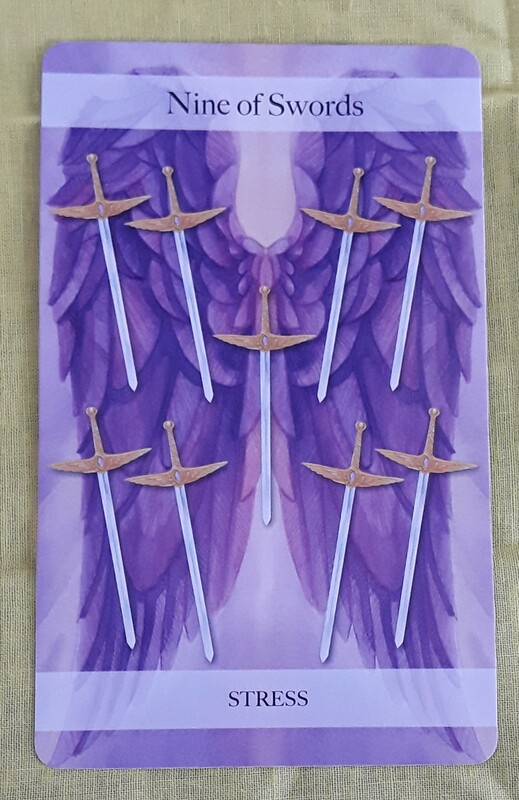 With the Knight of Wands, continue to exert your personal power to advance any project at work or at home. Under your leadership, you can see it through to the end. If there is anything to watch out for, it is to try not to burn yourself out. Pace yourself in order to keep up your energy! 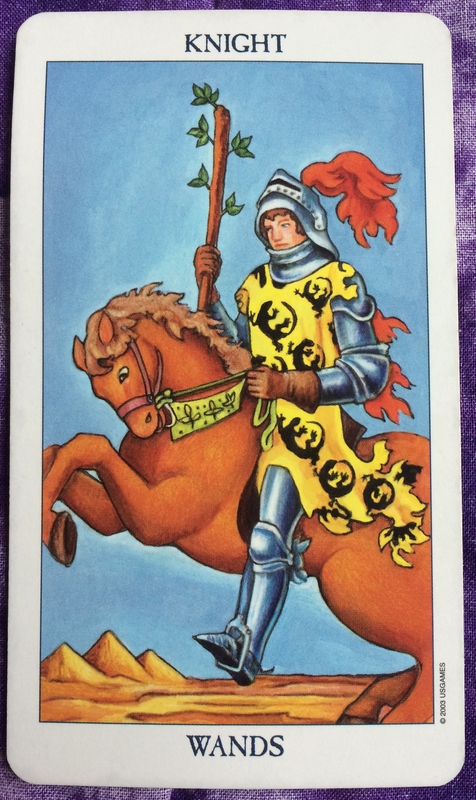 The Tarot card of the day is the Knight of Wands. 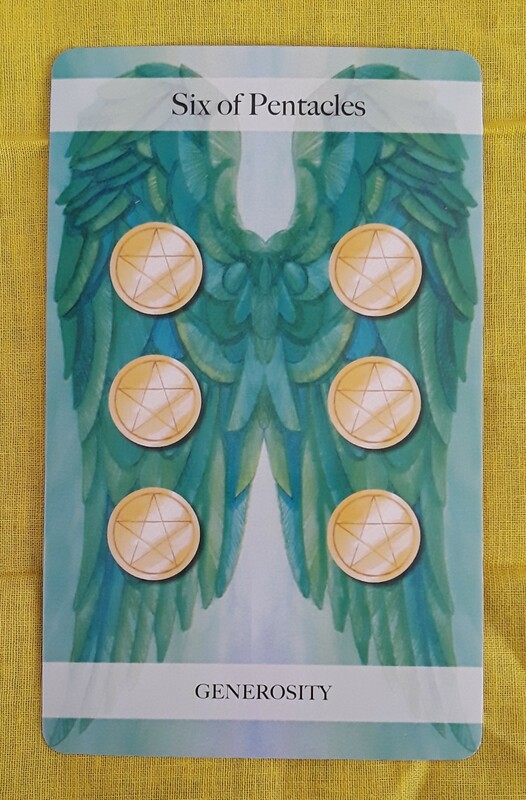 Time to push forward with your new ideas, especially after yesterday’s new moon. 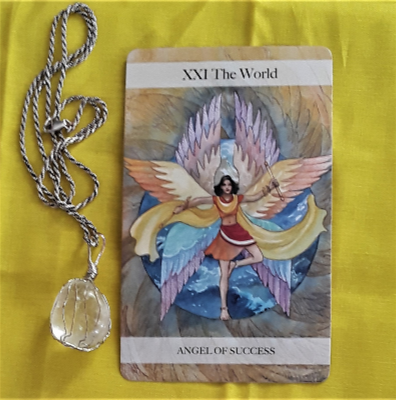 This energy will be useful at work, where you can make a good impression with your creativity. But it could also be in relation to a project you have started at home. In addition, this could be a good time in the area of romance. Maybe you will get out of the “friend zone” and let that special someone know how you really feel. Or, perhaps you will be take the initiative to start a conversation with an attractive stranger or acquaintance. Maybe you will be the one to receive good news from someone else. You also may be traveling today, perhaps for your job. Whatever the circumstances, have a great day.